Laser safety glasses are a safety necessity when working with high-powered laser light. These glasses are used in many fields, but serve the same purpose: providing dependable protection to professionals in growing fields. Made for use in medical, military, research and education, and industrial laser application processes, laser safety glasses are a high quality product intended to protect both the eyes and skin. Available in many styles and covering a wide range of laser protection, laser safety glasses are not all created equal. Different lenses and filtration levels make each pair of glasses or googles unique to their specified purpose. Phillips Safety Products, Inc. manufactures eyewear that offers protection from hazardous reflected or scattered laser light of Class 3R, Class 3B and Class 4 laser systems. No matter the level of protection, every pair of laser safety glasses works on this simple premise: blocking laser light from reaching the eye. Protecting your eyes is incredibly important because your retina does not have pain receptors that alert you to potential damage. As a result, serious eye damage can occur without warning, necessitating extreme care while working with the focused radiation beam of laser light. Laser safety glasses are designed to disrupt certain wavelengths of light. These particular wavelengths are blocked while the rest of the light is filtered through specially designed lenses, making it possible to work unimpeded by darkness or dangerous laser beams. The other factor which determines how much light is filtered is the optical density (OD) of the lens in use. Optical density is essentially how much light is absorbed by the lens and determines the strength at which they are able to block waves of light. The power behind every pair of laser safety glasses lies in their ability to adequately filter light. Varying color and chemical treatments allow these important tools to block harmful laser light from coming into contact with human eyes. It is imperative that you understand your laser’s wavelength and operating strength before making a laser safety glasses purchase. Understanding wavelength and OD will inform your purchase and ensure that you get the correct level of protection. Wavelength is the measurement of spatial periods between waves of light. All light travels in waves, and the distance over which the waves repeat determines its designated wavelength. Every kind of light has a distinctive pattern of highs and lows (crests and valleys) and these are generally measured in nanometers. The wavelength of visible light is between 700nm (we see this as dark red) and 400nm (we see this as violet). Of course, laser safety glasses are not primarily concerned with visible light as they are made to filter out light from the electromagnetic spectrum. Optical density relates directly to wavelength because it measures the ratio of how much light is absorbed at a specific wavelength. Laser safety glasses are made to filter out specific wavelength ranges so optical density helps determine whether adequate protection has been achieved by determining how much of a specific wavelength is passing through the lens. You can find a mathematical breakdown of optical density and wavelength here. There are two main types of lenses used in the production of laser safety glasses. These are: glass filters and polycarbonate filters. 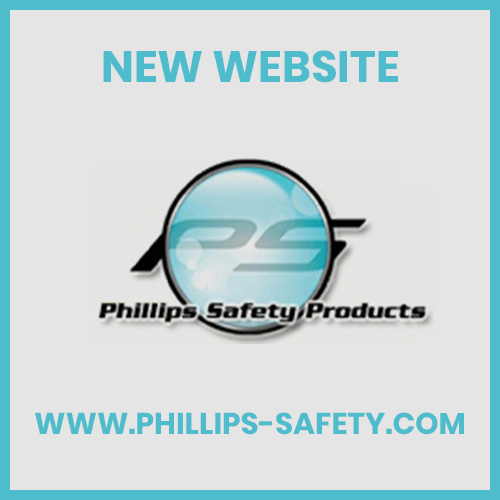 Phillips Safety Products, Inc. has worked extensively to develop both these materials in order to achieve maximum protection. Below, you will find breakdowns on each type of lens. Glass filters – though less technologically advanced – are important because there are several wavelengths that require glass protection. These filters typically allow more visible light to be transmitted through the lens and are best suited for use around mid- to high-power density lasers. Phillips Safety Products, Inc. offers custom combined glass filters and can achieve higher OD levels by increasing the thickness of the lens. Polycarbonate filters are super lightweight and impact-resistant. Phillips Safety Products, Inc. has developed a high quality line of polycarbonate filters to meet maximum protection at the most affordable prices. Less expensive than glass filters, polycarbonate filters now offer a wide range of wavelength absorption and achieve higher visual light transmission than ever before. These filters are best suited for low- to mid-power density lasers and can also be customized to meet specified needs. Laser safety glasses come in lots of varieties and should be chosen based on the laser’s operating wavelength, power, and beam diameter, as well as the field in which they are being used. With that knowledge you can select your glasses based on the appropriate wavelength range and OD. Consult your laser operator’s manual or your Certified Laser Safety Officer (CLSO) to determine your needs. If you do not have a manual or CLSO on hand, Phillips Safety Products, Inc. is pleased to offer free consultations and OD calculations based on your laser system. If you would like to learn more about laser safety glasses, goggles, and eyewear, please contact us. We are proud to be an industry leader, following advancements in laser manufacturing, and progressing our own research to ensure that our products continue to improve and meet today’s standards. The laser experts at Phillips Safety Products, Inc. invite you to see the difference. Thanks for all of your work on this site. My mom enjoys setting aside time for research and it is simple to grasp why. Most of us hear all concerning the compelling means you convey functional guidance on the web blog and even cause contribution from website visitors about this idea plus my child is without a doubt starting to learn a lot of things. Take pleasure in the remaining portion of the new year. You have been performing a wonderful job.